The decision by INEOS' oil and gas exploration and production business to attempt to go straight to the Government's Planning Inspectorate for a decision on its proposed test well in Rotherham has been met with disappointment and concern. Rothbiz reported yesterday that INEOS had encountered "unreasonable delays" in dealing with Rotherham Council on its plans for a drilling rig on Greenbelt land between the villages of Harthill and Thorpe Salvin. Having been given the "hurry-up" by Government, an appeal is now expected to be submitted so that the decision is taken out of the hands of the Rotherham planning authority. INEOS said: "We are disappointed that the decision will not be taken at local level – however we cannot wait indefinitely." Cllr. Chris Read, leader of Rotherham Council said that the sudden change of heart by INEOS was "concerning," adding that the firm was seeking to avoid a planning decision being made in public by councillors in Rotherham. Kevin Barron, the MP whose Rother Valley constituency covers Harthill, added that INEOS should not be allowed to "ride roughshod over local people's feelings." The MP said: "This decision by INEOS is very disappointing. I am seeking urgent talks with the company to explain why they feel that that the locally elected council should not make the decision on a major issue of this size for local communities. "I know many residents in Harthill and surrounding areas have been submitting representations to the Rotherham Council planning process and it is essential that their voices are heard. Many people have already emailed me about the decision taken by INEOS and I will be meeting with the Parish Council and local representatives to discuss further." The application would provide temporary permission for a maximum of five years and the operation would involve various site investigation surveys and site preparation before a period of drilling, coring and testing. Initially due to be discussed at a special meeting of the planning board that was pencilled in for November 23, the application has been heading for refusal after the Council's transport planners raised concerns over road safety regarding "the introduction of a significant number of additional large commercial vehicles along these narrow country lanes." The Council had hoped to delay the decision until early next year and now further concerns have been raised by the Council. In particular, Andy Godfrey, ecological development officer at Rotherham Council has expressed his disappointment at the approach taken by INEOS regarding surveys around ecological issues. The response to the consultation points out that habitat surveys were only carried out in January when species are less likely to be active. Surveys on bats, badgers and breeding birds were not initially carried out. Godfrey said: "In conclusion, I am disappointed by the approach adopted by the applicant. We still have a poor Phase 1 habitat survey (sub-optimum survey date, single target note, no plant list) and no information whether badgers or breeding birds are affected. Bat data is limited to two months in late summer." The Council's landscape officer identifies that the development will result in "substantial adverse landscape and visual effects" but is not objecting to the plans as the impacts will only be experienced locally and over the short term. 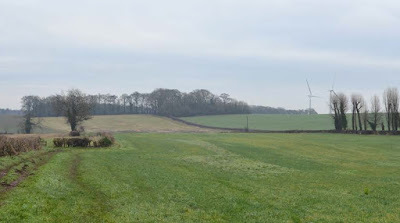 Stefanie Harrison, principal landscape architect at Rotherham Council, said that the proposals "will result in a noticeable deterioration in the landscape character of the area and its enjoyment by the local community, as is noted by the strength of local objections raised. "The identified landscape and visual effects, whilst locally substantial, are considered reversible. On this basis, I confirm that I have no formal objection to this application. I would ask that appropriate weight and consideration be given to the adverse landscape and visual effects, when considering the wider balance of planning arguments in this scheme." Concerns have also been raised by the Yorkshire Wildlife Trust whilst Natural England considers that the proposed development will not have significant adverse impacts on nearby Sites of Special Scientific Interest (SSSI). Having assessed the site regarding an environmental permit, the Environment Agency is not objecting to the plans but has asked for a condition be included regarding any contamination not previously identified.